Abu Suleyman al-Firansi—born as Abdelilah Himich—is a Moroccan citizen, former French soldier, and suspected key member of ISIS. According to several ISIS defectors, Firansi leads the group’s amn al-kharjee, the external operations branch responsible for carrying out attacks in Europe. Various U.S. and French authorities have identified Firansi as one of the suspected masterminds behind ISIS’s November 2015 Paris massacre and March 2016 Brussels bombings.Sebastian Rotella, “U.S. Identifies Key Player in ISIS Attacks on Europe,” ProPublica, October 19, 2016, https://www.propublica.org/article/us-identifies-key-player-in-isis-attacks-on-europe. 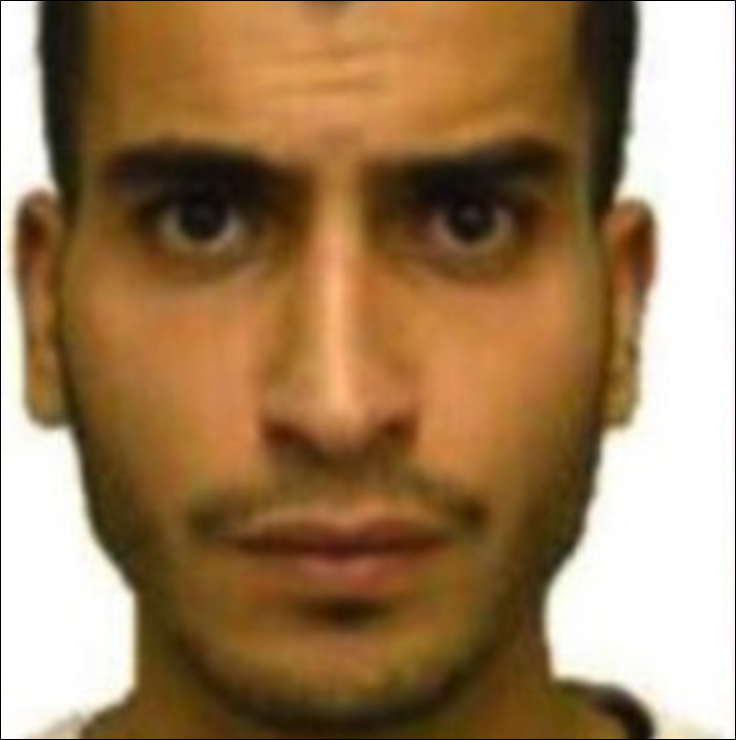 In November 2016, French authorities identified Moroccan-Belgian extremist Oussama Atar as the overall coordinator of both attacks.Associated Press, “Authorities ID possible organizer of Paris, Brussels attacks,” Yahoo News, November 8, 2016, http://sports.yahoo.com/news/authorities-id-possible-organizer-paris-brussels-attacks-160254593.html; Margot Haddad, Erin McLaughlin, and Tim Hume, “France identifies suspected coordinator of Paris, Brussels attacks,” CNN, November 8, 2016, http://www.cnn.com/2016/11/08/europe/paris-brussels-attacks-suspected-coordinator/. Firansi has been the subject of French and Interpol arrest warrants, and is believed to operate out of ISIS-controlled territory in Syria.Sebastian Rotella, “U.S. Identifies Key Player in ISIS Attacks on Europe,” ProPublica, October 19, 2016, https://www.propublica.org/article/us-identifies-key-player-in-isis-attacks-on-europe. The U.S. Department of the Treasury designated Firansi as a Specially Designated Global Terrorist on November 22, 2016.“Counter Terrorism Designations; Kingpin Act Designations Updates,” U.S. Department of the Treasury, November 22, 2016, https://www.treasury.gov/resource-center/sanctions/OFAC-Enforcement/Pages/20161122.aspx. Firansi was born in Rabat, Morocco, in 1989 and moved with his family to France in his early teens. He joined the French Foreign Legion in 2008 and gained combat experience while on a six-month tour in Afghanistan.Sebastian Rotella, “U.S. Identifies Key Player in ISIS Attacks on Europe,” ProPublica, October 19, 2016, https://www.propublica.org/article/us-identifies-key-player-in-isis-attacks-on-europe; Michael Weiss, “From French Soldier to ISIS Spymaster,” Daily Beast, October 24, 2016, http://www.thedailybeast.com/articles/2016/10/24/the-french-spymaster-of-isis.html. According to French officials, Firansi deserted the French Foreign Legion in 2010, and was arrested in Paris one year later while carrying 2.6 pounds of cocaine.Sebastian Rotella, “U.S. Identifies Key Player in ISIS Attacks on Europe,” ProPublica, October 19, 2016, https://www.propublica.org/article/us-identifies-key-player-in-isis-attacks-on-europe; Michael Weiss, “Is This Frenchman Running ISIS Terror Networks in the West?,” Daily Beast, May 1, 2016, http://www.thedailybeast.com/articles/2016/05/01/is-this-frenchman-running-isis-terror-networks-in-the-west.html. In 2013, Firansi was convicted on drug-related charges and sentenced to three years in prison, but was released after five months.Sebastian Rotella, “U.S. Identifies Key Player in ISIS Attacks on Europe,” ProPublica, October 19, 2016, https://www.propublica.org/article/us-identifies-key-player-in-isis-attacks-on-europe. By early 2014, Firansi had traveled to Syria by driving through Italy, Greece, and Turkey, to fight with an al-Qaeda-linked group before joining ISIS.Sebastian Rotella, “U.S. Identifies Key Player in ISIS Attacks on Europe,” ProPublica, October 19, 2016, https://www.propublica.org/article/us-identifies-key-player-in-isis-attacks-on-europe. As a member of ISIS, Firansi has reportedly helped plot the group’s major attacks in Europe. Following the November 2015 Paris attacks, ISIS leader Abu Bakr al-Baghdadi reportedly rewarded Firansi“ABOU SOULEIMAN : L’ÉMIR FRANÇAIS DE DAECH,” TTU, April 15, 2016, http://www.ttu.fr/abou-souleiman-lemir-francais-de-daech/; Michael Weiss, “Is This Frenchman Running ISIS Terror Networks in the West?,” Daily Beast, May 1, 2016, http://www.thedailybeast.com/articles/2016/05/01/is-this-frenchman-running-isis-terror-networks-in-the-west.html. by appointing him to the head of the amn al-kharjee, a unit belonging to the larger intelligence structure known as the Emni. The Emni was previously led by Abu Mohammed al-Adnani, the group’s spokesman and director of external operations killed in an August 2016 drone strike.Sebastian Rotella, “U.S. Identifies Key Player in ISIS Attacks on Europe,” ProPublica, October 19, 2016, https://www.propublica.org/article/us-identifies-key-player-in-isis-attacks-on-europe; Rukmini Callimachi, “How A Secret Branch of ISIS Built a Global Network of Killers,” New York Times, August 3, 2016, http://www.nytimes.com/2016/08/04/world/middleeast/isis-german-recruit-interview.html?_r=0. According to one unnamed U.S. counterterrorism official, Faransi is “one of the most important Frenchmen in ISIS, especially after the death of Adnani.”Sebastian Rotella, “U.S. Identifies Key Player in ISIS Attacks on Europe,” ProPublica, October 19, 2016, https://www.propublica.org/article/us-identifies-key-player-in-isis-attacks-on-europe. Journalist Michael Weiss has referred to Faransi as “arguably the single most important European in ISIS.”Michael Weiss, “From French Soldier to ISIS Spymaster,” Daily Beast, October 24, 2016, http://www.thedailybeast.com/articles/2016/10/24/the-french-spymaster-of-isis.html. Abdelilah HimichSebastian Rotella, “U.S. Identifies Key Player in ISIS Attacks on Europe,” ProPublica, October 19, 2016, https://www.propublica.org/article/us-identifies-key-player-in-isis-attacks-on-europe. Abu Souleymane“Counter Terrorism Designations; Kingpin Act Designations Updates,” U.S. Department of the Treasury, November 22, 2016, https://www.treasury.gov/resource-center/sanctions/OFAC-Enforcement/Pages/20161122.aspx. Abu Souleymane al-Faransi“Counter Terrorism Designations; Kingpin Act Designations Updates,” U.S. Department of the Treasury, November 22, 2016, https://www.treasury.gov/resource-center/sanctions/OFAC-Enforcement/Pages/20161122.aspx. Abu Souleymane the Frenchman“Counter Terrorism Designations; Kingpin Act Designations Updates,” U.S. Department of the Treasury, November 22, 2016, https://www.treasury.gov/resource-center/sanctions/OFAC-Enforcement/Pages/20161122.aspx. Abu Sulaiyman al Fransi“Counter Terrorism Designations; Kingpin Act Designations Updates,” U.S. Department of the Treasury, November 22, 2016, https://www.treasury.gov/resource-center/sanctions/OFAC-Enforcement/Pages/20161122.aspx. Abu Sulaiyman“Counter Terrorism Designations; Kingpin Act Designations Updates,” U.S. Department of the Treasury, November 22, 2016, https://www.treasury.gov/resource-center/sanctions/OFAC-Enforcement/Pages/20161122.aspx. Abu Sulayman al-Faransi“Counter Terrorism Designations; Kingpin Act Designations Updates,” U.S. Department of the Treasury, November 22, 2016, https://www.treasury.gov/resource-center/sanctions/OFAC-Enforcement/Pages/20161122.aspx. Abu Suleiman“Counter Terrorism Designations; Kingpin Act Designations Updates,” U.S. Department of the Treasury, November 22, 2016, https://www.treasury.gov/resource-center/sanctions/OFAC-Enforcement/Pages/20161122.aspx. Abu Suleyman“Counter Terrorism Designations; Kingpin Act Designations Updates,” U.S. Department of the Treasury, November 22, 2016, https://www.treasury.gov/resource-center/sanctions/OFAC-Enforcement/Pages/20161122.aspx. Abu Suleyman al-Faransi“Counter Terrorism Designations; Kingpin Act Designations Updates,” U.S. Department of the Treasury, November 22, 2016, https://www.treasury.gov/resource-center/sanctions/OFAC-Enforcement/Pages/20161122.aspx. The U.S. Department of the Treasury designated Abdelilah Himich as a Specially Designated Global Terrorist.“Counter Terrorism Designations; Kingpin Act Designations Updates,” U.S. Department of the Treasury, November 22, 2016, https://www.treasury.gov/resource-center/sanctions/OFAC-Enforcement/Pages/20161122.aspx. Abu Suleyman al-Firansi—born as Abdelilah Himich—is a Moroccan citizen, former French soldier, and suspected key member of ISIS.